I saw the House of Wisdom exhibition during the 15th Istanbul Biennial in 2017. 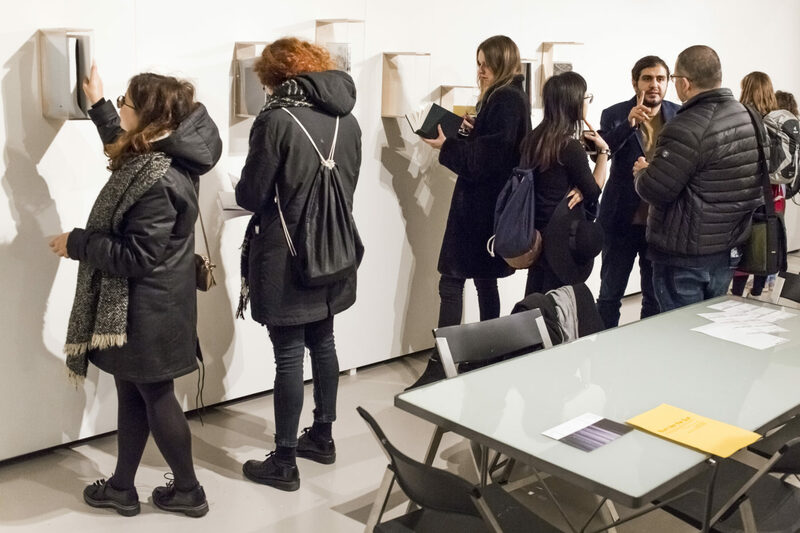 Curated by Collective Çukurcuma and previously shown at Dzialdov (Berlin), the exhibition was on display as part of Istanbul Biennial’s public programme. On the day when I was heading to the exhibition, part of me was looking forward to seeing the contributions of the internationally acclaimed artists whose practice I admire (including Ali Kazma, Erinç Seymen, Hera Büyüktaşçıyan and Lawrence Abu Hamdan). However, part of me was also quite sceptical about the project’s focus on Turkey, the Middle East, censorship and the political power of books. My scepticism came mainly from what I interpreted as a particularly liberal economy of values, culturalism and identity politics on the global contemporary art scene and the sector’s dominant cultures of display when it comes to accommodating and framing non-Western subjects and political contexts. 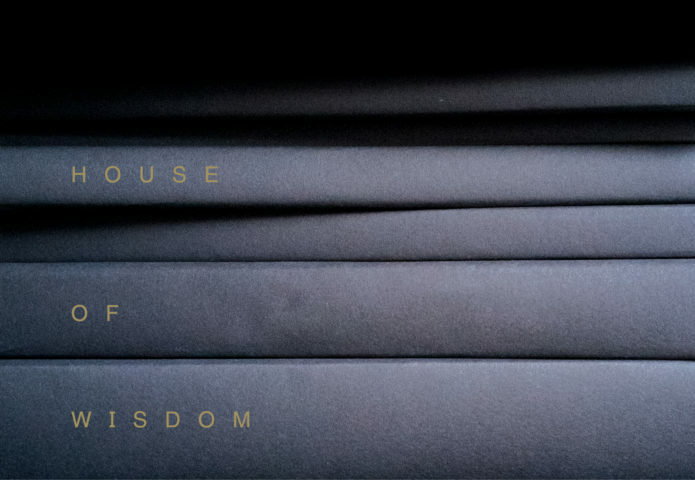 Was House of Wisdom going to reproduce a similar perspective that pitches its regional focus by associating it only with censorship and oppression in order to appeal to the liberal humanitarian optic of the international art market and its ethnographic turns? I was wrong. Rather than mediating an urge to inform its audience about the political drama of a particular geography, the show prioritised its curatorial concerns and a post-gallery relational aesthetic that expands the institutionalised spaces of art. There was a curatorial rigour in creating a fictive library that facilitated a platform for artists, curators, academics, cultural practitioners and art enthusiasts to exchange knowledge. Despite its regional political focus, the show did not offer a spectacular drama of oppression as viewed through the humanitarian optic, which sees and shows only victims rather than subjects. Instead, as an alternative space of knowledge production performed by 40 artists, House of Wisdom seemed to complicate the flat, spectacular(ised), palatable objects of cultural difference. As the curatorial organisation of the show demands that its audience/readers study the House of Wisdom as a library, the exchange becomes relational and even intimate. While it effectively tackles the geopolitical intricacies of censorship and knowledge production, the show’s formal flexibility and curatorial openness to site-specific interventions turns it into an experiment on the cross-cultural mobility of arts: a speculation that can ‘stick’ wherever it travels to. If there is no labour of immersion, you end up with a detached glimpse of unpalatable foreigners in this library. In other words, House of Wisdom is an experiment that requires the art enthusiast’s labour of intimacy, and refuses to make its presentation easily palatable through a simplistic humanitarian investment in ‘Turkish’, ‘Muslim’, ‘freedom of speech’, ‘censorship’, ‘oppression’, and so on. As a British-Turkish academic who teaches and produces research on the politics of intelligibility, interpretation and translation in film and the contemporary arts, I wanted this experiment to take place in Nottingham too. House of Wisdom Nottingham was produced and organised by Queer Art Projects and made possible by Arts Council National Lottery Project Grants with the support of Nottingham Trent University, Bonington Gallery, Nottingham UNESCO City of Literature, Bromley House Library, Primary, and Five Leaves Bookshop. The show was on display from 27 September to 27 October 2018 in various venues, including Bonington Vitrines and Atrium at Nottingham Trent University. Responding to the bombing of Baghdad’s literary centre, Al-Mutanabbi Street, Mona Kriegler’s Pain and Memory (2012-13) presents a black box of images where the city and its residents’ bodies are treated as wounded embodiments. Kriegler locates these wounds and sews them with a golden thread. Similarly, Didem Erk’s Black Thread (2015) presents a selection of books that were once burnt or censored. Erk sews every page of these books word by word, sentence by sentence. For both Kriegler and Erk, the performative act of sewing not only locates and recognises violence, but also suggests that reparation comes from this recognition. Similarly, Istanbul Queer Art Collective’s Just in Bookcase (2017) is a piece that mourns the personal libraries the collective left behind when emigrating from Turkey. What is left of their library is a suitcase full of postcards, each of which presents a book left behind in Turkey. Presenting personal memories of war through ink drawings, Walid Siti’s Dark Interludes (2017) and Ali Yass’s Destination II (2017) are ‘unshelved’ open books with their pages on display, which work as sculptural installations in the show. These are just a few examples of the ways in which the artists of House of Wisdom play with, expand, abstract, dissect and complicate the materiality of books and the conceptual depth of library-as-space. While curating the public programme for House of Wisdom Nottingham, I wanted each event (and the programme in its entirety) to be loyal to the curators’ creative engagement with library-as-concept, which works not only as a curatorial experiment but also as an alternative location of memory and documentation that is outside the framework of library-as-fortress, i.e. a modernist fortress of knowledge and official memory. All the practitioners I invited to this public programme engage critically with alternative spaces of knowledge production, political locations of memory, identity and affect in their practices of ‘documentation’ and, most importantly, a relational, cross-cultural aesthetic that expands regional/national specificities. 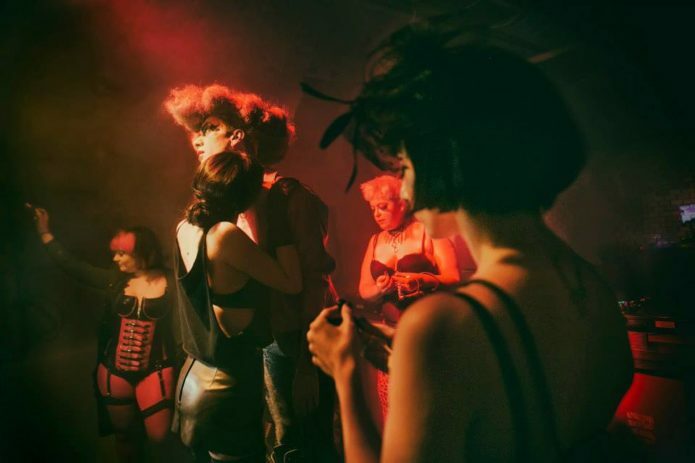 The programme was launched with Istanbul Queer Art Collective’s performance Visiting Bibliophiles. Following their first performance piece Psychic Bibliophiles: What the Cards Say (2017) in the third edition of House of Wisdom at Framer Framed, Amsterdam, Tuna Erdem and Seda Ergül visited the home of Emeritus Professor of Gay and Lesbian Studies, Gregory Woods. Presenting their Just in Bookcase, they had a conversation with Woods on passionate attachments to books and personal libraries. As Just in Bookcase moves as an object of queer migrant memory, the performance encourages us to think of libraries as commons, which has been the main anchor in the three talks I organised as part of this public programme. Professor Wendy Shaw’s talk, Islam in the River of Wisdoms, focused on the legacy of the eighth-century library in Baghdad, Bayt-al Hikma (House of Wisdom), which was this project’s core inspiration. Exploring the complex cross-cultural imagery of Platonic wisdom in pre-modern Islam, Shaw’s ground-breaking talk encouraged her audience to revisit the nomadic subjectivity and ‘transcultural inheritance’ of early Islamic arts and poetry, which modernity has all too often forgotten. The Berlin-based curator Adnan Yildiz’s talk, A Feeling of Loss, introduced his project Mutterzunge which explores the politics of language through living documents of grief, trauma, war and psychology of change across different artistic perspectives. This multi-venue project is composed of several stages of content development, and engages in conversations with a novella of the same title, Mutterzunge / Mother Tongue (1990), by Berlin-based author Emine Sevgi Özdamar. Presenting new productions from Mutterzunge’s Berlin programme, the talk explored artworks by Şener Özmen, Mehtap Baydu and Mohammad Salemy, among others, engaging with the close connections between transnational operations of memory, identity and affect, and how to narrate social changes within personal and social traumas. I wanted to facilitate a dialogue between Mutterzunge and House of Wisdom, as the engagement of both these projects with site-specific collaboration and contemporary archives frames literature and critical knowledge as transnational commons. Aylin Kuryel’s workshop UPLEFTER was a performative exercise against political depression. Resisting the atomising forces within the neoliberal constellations of depression and precarity, Kuryel’s intervention encouraged the participants to depersonalise depression as negative affect and to contextualise it as a collective experience that needs collective action. Repurposing the popular games Taboo and Dixit by using words and images of contemporary political relevance including those addressing wars, protests and dissident cultural practices, Kuryel invited the participants to play these games in groups, which facilitated a debate on various political issues. To further intervene in the humanitarian politics of what Katarzyna Marciniak once called ‘palatable foreignness’, I selected two award-winning documentary films, Gürcan Keltek’s Colony (2015) and Shevaun Mizrahi’s Distant Constellation (2017), whose engagement with documentation and remembrance resonate with House of Wisdom’s framework. Both films locate their documentary subjects at the limits of representation by prioritising a focus on the ethics of documentary mediation, rather than a palatable, informative political commentary. Refusing to represent a documentary spectacle of the traumatic atrocities their subjects witnessed, these films choose to provide a way of tracing the affective memory of these events within the psycho-geographies they present. While Colonycomplicates, through complex layers of abstraction, the affective distinctness of the past in Cypriot identity, Distant Constellation registers a (non-)space of precarity by juxtaposing the minority residents of a care home for the elderly in Istanbul with the Kurdish workers on a construction site outside the care home. I am grateful to be part of this inspiring collaboration, the collective spirit of which managed to move beyond institutional and professional boundaries. To further enhance the mobility and the afterlife of House of Wisdom Nottingham, we recorded the majority of the events mentioned above. 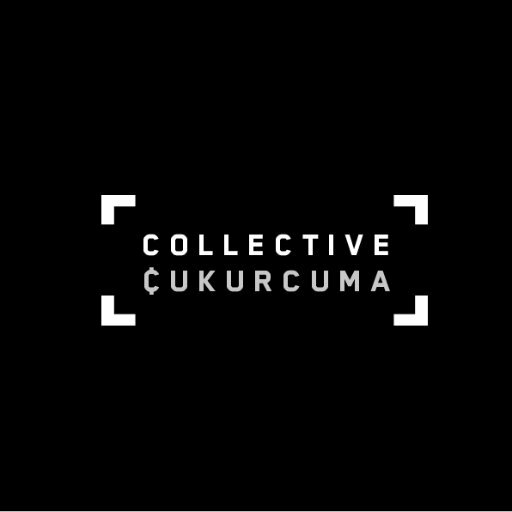 You can access the video documentations and the exhibition booklet from Collective Çukurcuma’s webpage. Dr Cüneyt Çakırlar is a Senior Lecturer in Communications, Culture and Media Studies at Nottingham Trent University. His current research practice focuses on transnational sexuality studies and the cross-cultural mobility of contemporary art practices. Image Credit: images provided by the author.